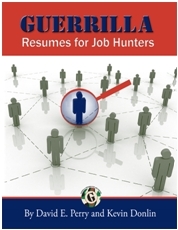 Do a competitive analysis on one of your targeted employer's products and send it to them. People assume that all companies keep up to date on their competitors, but this is rarely the case. on top of innovations and best practices so your piece will likely be most welcome. Focus on companies that are direct competitors with those you want to work for, not your own company. Potential employers need to get something out of reading the piece. Use graphs and charts wherever possible because people like visuals. Make it only as long as it needs to be. Ask for an opportunity to discuss your findings with the hiring manager if they're interested. Offer to share your primary research if they're interested.